There is no doubt that movies provide great themes for slots when they are done properly. What is better than combining your favourite movie with gaming? It’s the perfect pastime. There you have a nice mix of old and new movie-themed slots that you need to try out in 2019 if you haven’t done so already. Movie slots are always popular and here are five of the best that come from an array of entertaining genres and offer some sweet payoffs for lucky punters. Orion dominated the movie world back in the 80s and 90s and in 1987 released the sci-fi flick Robocop. Its dystopian vision of the future, combined with incredible effects caused Robocop to be a huge hit. It has since gone on to spawn a number of sequels and inspire a multitude of video games. Robocop Slot brings the original movie spectacularly back to life for both new and old fans who will love its retro looks. 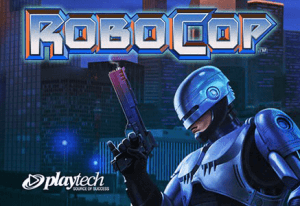 Robocop is an exciting mid-level volatility game with a maximum payout of 2500x the stake which is more than enough to brighten up any movie buffs day. To reach this level of winnings, players will need to take advantage of one of the four electrifying bonus games – Shootout, Robot Attack, Line Up, and OCP Mega. Suicide Squad may not have been quite the stellar smash hit that it was expected to be, but it was still wildly popular. As such, it was turned into a slot recently by gaming titans Playtech. 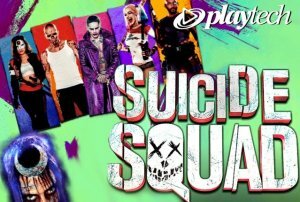 Playtech has made a range of DC-themed slots which have consistently involved high-quality visuals, sound, and gameplay. Suicide Squad is no different. Many of the characters of the movie appear throughout the game, crisply rendered, with different game altering attributes. Playtech has left out free spins with this slot but has instead stacked it with multipliers and a mysterious Enchantress Mode. Fans of the movie will love this fast-paced game, and it has also proved to be popular with critics of the film. 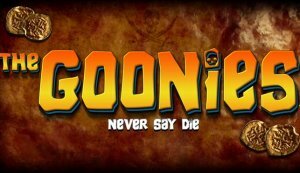 The Goonies movie was huge when it was released back in 1985 and has since gone on to become an absolute cult classic. At first, you may not think The Goonies would make a great theme for a slot but give it a spin and its feel-good antics will quickly change your mind. This is partly due to its nostalgia factor with the inclusion of characters from the film which will warm every fan’s heart. The other key reason is that makers Blueprint Gaming have done a brilliant job of recreating the excitement and adventure of the movie onto the smaller screen. When the bonus features kick into life, you’ll feel like you are right there with Mikey and the gang searching for One Eyed Willie’s Treasure. 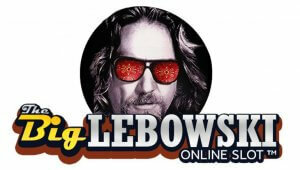 The Big Lebowski is another massive cult classic from the Cohen Brothers that was released in 1998. We were so surprised and happy to see this one make it into the slot world and have Aristocrat to thank for that. The original movie was pretty oddball with the main character ‘The Dude’ bowling his way casually through LA and life in general. Thankfully for fans, Aristocrat has managed to capture the ‘drop out’ spirit of The Dude and his buddies in this colourful slot. The Dude’s favourite pastime of bowling abounds throughout the game and his pals and enemies pop up constantly as the game rolls on. 25 pay lines and solid volatility means that, unlike The Dude, players have a real chance here to make some serious money. ’In space, no one can hear you scream.’ So went the tagline to the original Alien movie back in 1979. Then again, they might hear cries of joy if you win the top prize of 3817x your stake in this thrilling slot. Industry leaders NetEnt are the developers behind this terrifying adventure through the cosmos. At its heart are the unforgettable aliens and the terror they inspire as they chase their hapless victims is palpable as the reels spin. 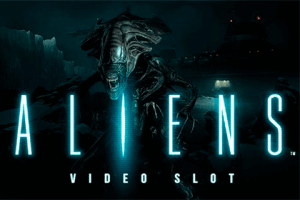 Fortunately, this Aliens slot was designed with fun in mind so is not quite so scary as the films. In fact, it is an extremely exciting sci-fi blast that uses elements of the film perfectly to thrill gamers on their way to winnings. The fantastic bonus feature definitely deserves a mention. Once triggered, a dramatic adventure through the ship commences, culminating in a tense showdown with the Alien Queen and her bloodthirsty brood. Needless to say, if you make it this far you can expect an epic payout.